Major League Baseball has mandated translators for big league teams, but the system is much more unofficial at the minor league level, where Spanish-speaking prospects often face tough language and culture barriers. This was a moment Ernesto Frieri had been preparing for and thinking about for a long time. Back in Arjona, in the Bolivar region of Colombia where he was born and raised, there were McDonald’s restaurants, and they were incredibly popular. The glowing, golden arches were symbols of a more glamorous life in America. Growing up poor, he could never afford to eat there. Frieri, a right-handed pitcher, had signed as a free agent with the San Diego Padres as a 17-year-old in 2003. Two years later, he was on his first stateside assignment, playing Rookie Ball in Peoria, Arizona, living out of a hotel. There was a McDonald’s one block down the street. Before he could finally go, though, he was determined to learn enough English to order his own meal. This was a far bigger hurdle than many people probably realize. Like many professional baseball prospects, Frieri’s English training was scant, his knowledge of the language essentially nonexistent. Frieri had his roommate write out what he needed to say to order, and he practiced it religiously, over and over, not understanding what the words meant, but determined to order for himself. Can I get the combo No. 1? Can I get the combo No. 1? By the time Frieri is at Double-A San Antonio six years later, it’s incredible to think that he was so hapless placing that burger order. Now he’s jumping in to help other teammates, particularly a wide-eyed, slap-hitting outfielder named Luis Durango who, despite being less than a year younger than Frieri, is just as lost as the pitcher was back in Peoria as a teenager. When Durango steps off the Southwest flight from Spring Training in Phoenix, he speaks a single word until someone can point him in the right direction: “bus.” But a few days later, when Durango is named Player of the Game and has a microphone thrust into his face for a postgame interview, it’s Frieri who comes to his rescue, unprompted, translating on the fly in heavily-accented, but nearly perfect English. As it turns out, this is a role he adopted along the way after finding himself the only one willing to do it. “The coaches, we had a meeting, whenever we didn’t have somebody who spoke English and Spanish, they used me as the translator,” he says, eight years of professional baseball later, during batting practice on the field at Marlins Park before Team Colombia takes on the U.S. in the World Baseball Classic last month. Teams at every level of baseball that have a contingent of Spanish-speaking players have their own such jury-rigged system. Latin players are often clustered together in one corner of the clubhouse, with either a player, coach, or other team-affiliated go-between haphazardly and unofficially assigned to help them communicate. The choice to become this conduit was a logical one for Frieri. He committed to learning at least one or two words per day, then making sure he used them in conversation the next day. The next thing he knew, he was the best nonnative English speaker on the team. When Frieri reached the big leagues, he used his developing language skills to glean as much knowledge as he could from the established major leaguers around him, be they native Spanish or English speakers. 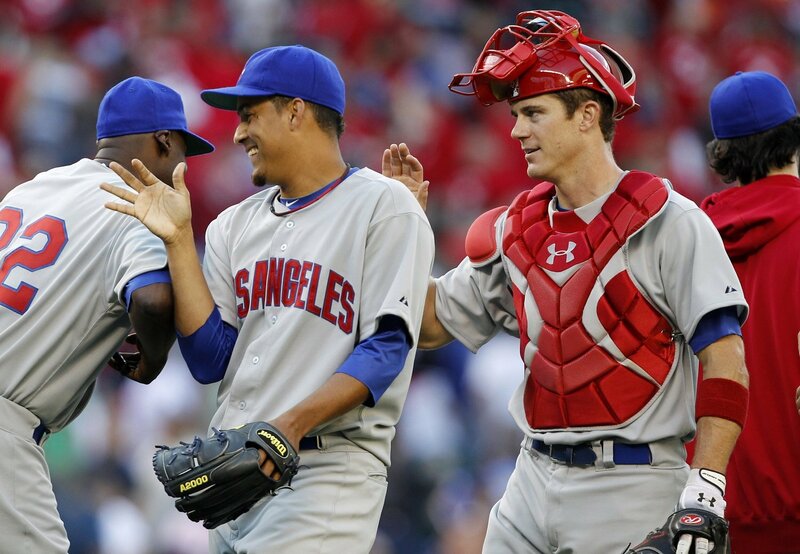 But while he was chatting up his MLB teammates, the media initially avoided Frieri when he got to San Diego. They assumed his English would be poor, as it is with many Latin American-born prospects. Last season, the top four countries of origin that foreign-born MLB players called home were all Spanish-speaking nations — the Dominican Republic (149), Venezuela (112), Cuba (34), Puerto Rico (27) and Mexico (16). Adding in Panama (8), Colombia (6), Nicaragua (4), players from native Spanish-speaking countries comprised 22.9 percent of the 1,482 big leaguers in 2016. 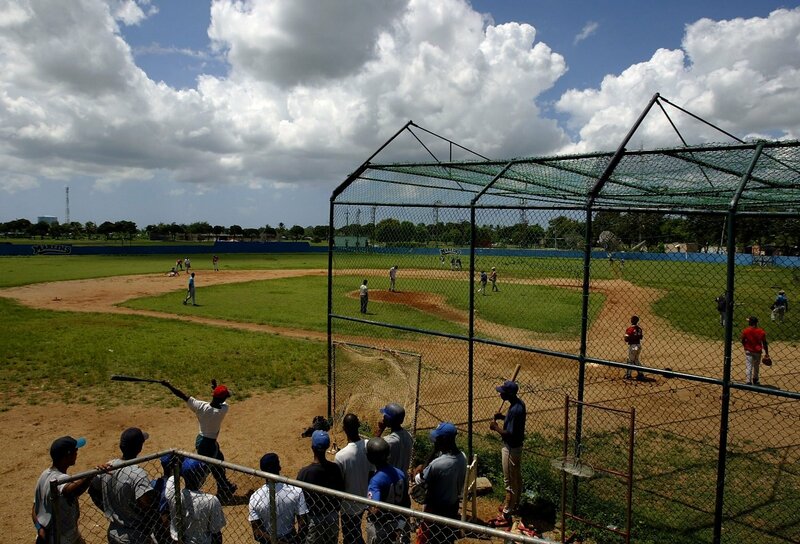 In the Dominican Republic alone, 450-500 players are signed every year, usually placed in academies, of which all 30 teams have on the island. MLB spends an estimated $125 million on those academies — along with another $200 million on signing bonuses — each year. And yet, despite such an investment, there is little in the way of formal English education for young men, many of whom don’t speak a word of it upon signing. 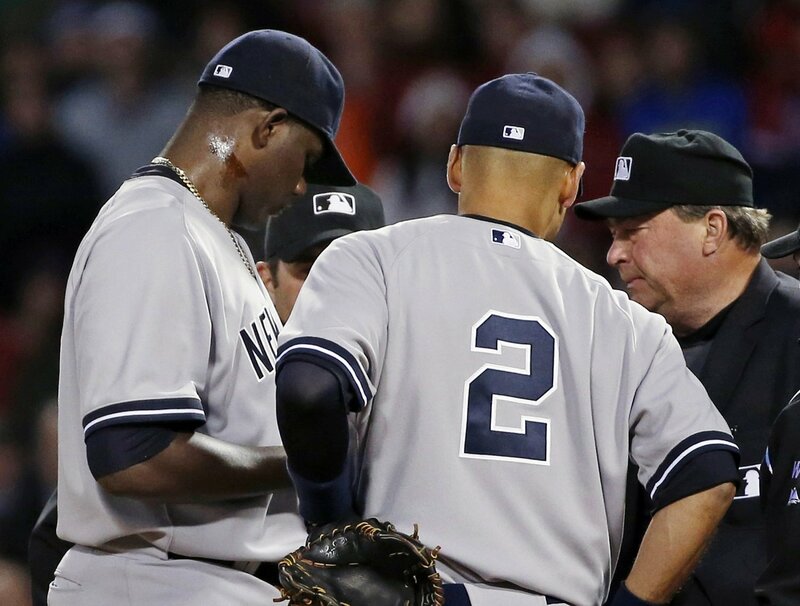 The genesis of MLB instituting Spanish translators at the big league level can be traced back to an incident in 2014, when New York Yankees pitcher Michael Pineda was ejected from a game for using pine tar — an illegal foreign substance — to help his grip on a cold night. Interestingly, Pineda’s ejection didn’t have an immediate impact on the way the game treats pitchers using such substances, which also include sunscreen, rosin, or sweat. But the confusion he faced when trying to answer tough questions from a foreign press in the aftermath convinced then-teammate and native Puerto Rican Carlos Beltran that a better system was needed for native Spanish speakers. His efforts and that of the league resulted in the creation of the MLB translator program, which was proposed and written into MLB’s collective bargaining agreement in 2016. At the big league level, there have been certain protections for Spanish-speaking players going back as far as 1997. The MLB collective bargaining agreement requires teams to provide ESL courses, if requested, and transactional documents are provided in Spanish to help ensure that players understand the business decisions made by their parent club. But the ever-growing media world was still very much the wild west until the last few years, leading to incidents like the one with Pineda. That’s where the translator program — which was renewed for five more seasons last year, and is paid for by taxes on teams exceeding their international free agent signing limits — comes in. Applicants are subjected to what Mifsud calls a “fairly rigorous” interview process with both the Commissioner’s Office and the MLB Player’s Association, then certified to be able to work with the clubs. It’s a start, but the system only exists at the big league level, and only addresses a symptom, not the underlying issue. While Pineda’s incident caused him no short order of embarrassment and a 10-game suspension, it could have been much worse. Other players’ encounters with the language barrier come well before the big leagues and can mean the end of their careers. Believe it or not, Frieri says he has seen multiple players cut because they didn’t understand the signs they were given by coaches. 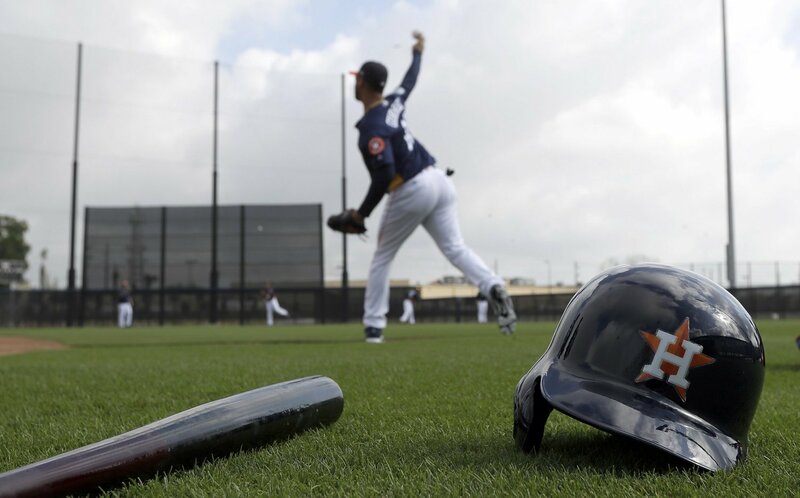 In Beltran’s current clubhouse, that of the Houston Astros, Latin players who come through the system are some of the best prepared for the challenges of life in America by the time they hit the big leagues. For Vigoa, that organizational preparation brought a combination of relief and uncertainty. “It was a weird year, because in the beginning, most of my guys here were pretty fluent in both, pretty bilingual,” he says. Vigoa’s parents are both from Cuba and Spanish was his first language, though his English is impeccable. A college baseball player at the University of Pennsylvania, he worked in brand consulting for four years before the translator opportunity came along last year. He has since moved over to a traveling secretary role with the team, but on this morning in Palm Beach, he is assisting Cuban-born Yuli Gurriel, the one player who really needed his services last year after following a nontraditional path to the majors, including a stop in Japan and just a couple months in America before his MLB debut. “With this role being created, I think it’s helping our guys who aren’t native English speakers a ton, and we have to keep pushing forward with that,” says Vigoa. But he’s cognizant of not letting the ability to lean on a translator for anything and everything become a crutch. He believes the education throughout the minors is crucial to development as well. Slowly but surely, most teams have hired education coordinators charged with tasks like cultural acclimation, but there are no uniform standards yet, just suggestions. The teams that have embraced the idea often have done so for the same reason they invest in anything — they think it will help them win. He singles out the Kansas City Royals and Colorado Rockies as teams that, along with the Astros, have been particularly proactive in this area. With all the extra money being spent on nutrition, life skills, mental skills, and even sleep studies, investing in bilingual communication for player personnel seems like a logical step. That’s especially true considering clubs have already sunk hundreds of thousands or even millions of dollars per player into signing and developing them throughout the minor leagues. But progress on such issues is usually made five years at a time, when the matters can be agreed upon by both sides in collective bargaining. Issuing decrees from the Commissioner’s Office could be problematic. 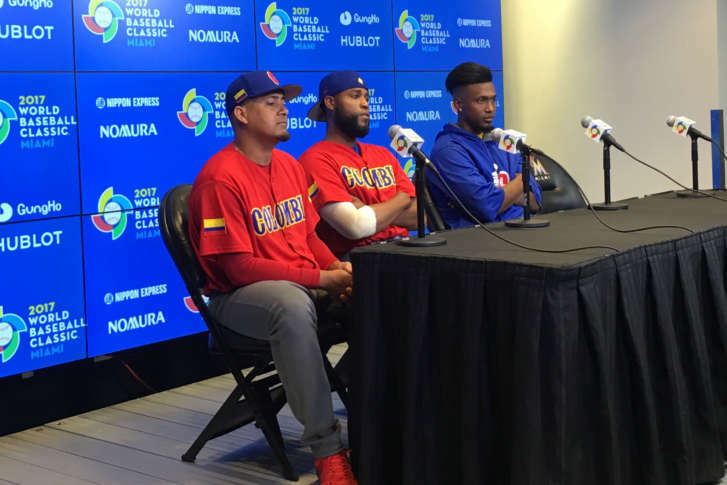 At the last round of collective bargaining, there were serious discussions about what could be done to help remedy this disconnect, to make the pipeline easier for Latin American ballplayers coming to play in America. Player representatives shared their stories and suggestions. Mifsud says the Commissioner’s Office made several proposals, including more classroom instruction and more contact with big league players to get them better exposed to the language and culture. But he says the main message he got was that, once already in the majors, the players didn’t want to be bothered. After all, speaking English isn’t just an instrumental aspect of learning and understanding the game. At the Major League level, players are brand ambassadors, starring in commercials, making public appearances, interacting with and signing autographs for fans before and after games. They are more marketable across all those venues if they are bilingual. MLB is implementing something called the ARRIBA Program — an acronym of a phrase that translates to “acquiring resources to face unpredictable challenges in Latin America” — in the Dominican Summer League this year. The program will focus on a number of challenges that prospects face, but is just the beginning of what Mifsud hopes is a more continuous curriculum to help players continue both their language and cultural education upon arriving in the states. But simply installing translators at the minor league level would seem to undermine that mission. On that front, Mifsud and Frieri agree. He references the off-the-field preparation, the stuff most people don’t even think about. The fact that the only way you can go look up video and reports to study is to understand what to sort through, which requires understanding the language. The instructions not just from managers, but strength coaches, athletic trainers, front office personnel. Of how to order a burger at McDonald’s. All of that requires more than just baseball knowledge.